Google Nexus S Review - Learn everything you need to know about the Google Nexus S before you buy. 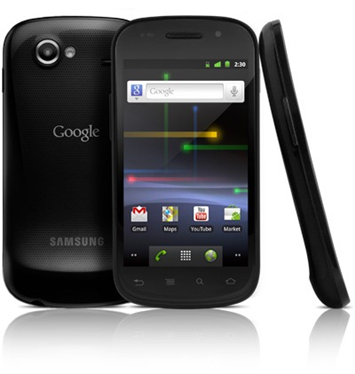 -The Google Nexus S has a lot of great features and is one of the best Android phones on the market. Let me clarify, one of the best. This phone is great if you have used Android before and are comfortable with customizing your phone on your own. It has one of the best AMOLED screens around, and huge display of 4 inches. The glass on the phone is curved as they thought this would adhere to your face the best, and it does. The phone feels great to hold, looks great but, has a few flaws we’ll talk about. -The design of this phone is a unique one in that the display is curved slightly to fit better on your face during calls. The 4-inch, 400 X 800 AMOLED display puts out vibrant colors and gives the whole phone a really clean look. Since the phone has no physical buttons on the face, when it is turned off, it looks super sleek. The touch sensitivity is very responsive and didn’t record too many missed swipes or touches. -The Nexus S is currently running a UI called Gingerbread. There are a lot of great speed upgrades from Froyo, but not a lot of noticeable differences in aesthetics. Text selection is a pretty big problem across the entire platform. It’s different in the messaging app, the browser, and e-mail. All very confusing to remember and we can’t wait to see this changed. It is running Android so the Android market is available to download plenty of 3rd party apps for you using pleasure. -One other thing that Google changed, that not to many people were excited about, was the size of the letters in the text messaging app. The shrunk the overall height of them and made them skinnier. This is a bit of a baffling move seeing as how the Nexus S has a 4-inch screen! Sure you can install another keyboard, but it’s always nice for the manufacturer to get it right the first time. -The camera takes good pictures but there is no option for shooting HD video. The highest available option is 720 X 480. -The battery is pretty standard getting around 6 hours of talk time. You should be able to go a full day without needing a charge if you are normal user. If you play a lot of games, you might want to buy an extra battery or make sure you have a charger in your car. -One really cool additional feature is the NFC (Near Field Communication) chip. This would allow you to swap contacts with someone else who had this chip installed by just holding your phones close to each other. Or, if a store had a sign with this chip built in, you could hold your phone up to it and get information about the store or watch a video about it. -Of course, the phone comes with built in Bluetooth, Wi-Fi and GPS. "My experience with PaceButler has been a positive and professional experience. PaceButler is a great way to recycle old cell phones and possibly make some money doing so. PaceButler employees are knowledgeable, courteous people with a fast response times and quick delivery of payment making recycling cell phones less of a task making my job easier. Thank you PaceButler you make recycling fun." "Excellent communication. Received payment quickly. Will recommend to others."